1. Reasons and troubleshooting methods for main runner mould sticking during injection moulding. (1) The cooling time is too short and the main runner has not yet solidified. (2) The slope of the main runner is insufficient, and the draft angle should be increased. (3) The mismatched size of the main runner bushing and the nozzle causes leakage. (4) The main runner is rough and has no cooling wells and pulling hook. (5) If the nozzle temperature is too low, the temperature should be raised. 2. The reasons and solutions for the phenomenon of bubbles in the injection moulding process. According to the wall thickness, determine the reasonable gate, sprue size. The general gate height should be 50% to 60% of the wall thickness of product. Until the gate is sealed, a certain amount of supplementary injection material is left. Reducing injection speed and increase injection pressure. Use material with a high melt viscosity rating. Lower the resin temperature to avoid generating decomposition gas. (3) Bubbles caused by poor fluidity can be solved by increasing the temperature of the resin and the mould and increasing the injection speed. 3. The causes of insufficient filling on plastic injection moulded products. The plasticizing amount or heating rate of machine is un-certain, and the machine with large plasticizing amount and heating power should be used. The wear of the screw and the barrel or the plastic head causes return materials, which lead to the un-full of actual filling amount. The heating system of the thermocouple or the heating ring causes the actual temperature of barrel to be too low. The sealing element of injection cylinder is worn to cause oil leakage or reflow, so it can’t reach the required injection pressure. The nozzle hole is too small or the nozzle center degree is improperly adjusted to cause excessive resistance and result in pressure consumption. 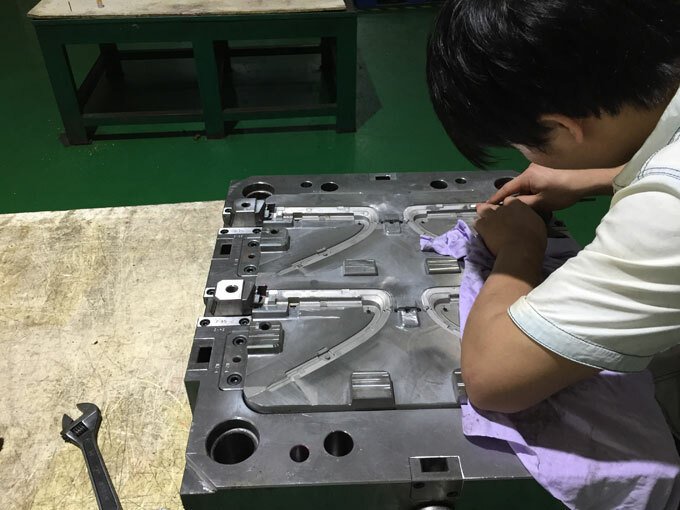 The temperature of the part or the whole of the mould is too low, which makes the feeding difficult, so the mould temperature should be properly increased. The distribution of cavity of mould is unbalanced, and the wall thickness of workpiece is too thin, resulting in excessive pressure consumption and poor filling. The entire part or partial wall thickness should be increased or an auxiliary flow or gate is set nearby the insufficient filling to solve. Too small runner will cause pressure loss. If runner is too large, the glue will be weak, if too rough, the plastic injection moulded parts will be insufficient filling. The size of runner should be properly set, main runner and branch runner, the transition between gates or the turn itself should use appropriate arc for transition. Poor exhaust of injection mould. The material entering the cavity is blocked by the pressure of the gas that is not exhausted, which causes the insufficient filling. It is possible to make full use of the slit venting of the screw or reduce the clamping force to utilize the parting surface to vent, and if necessary, to open the exhaust channel or the vent. 4. 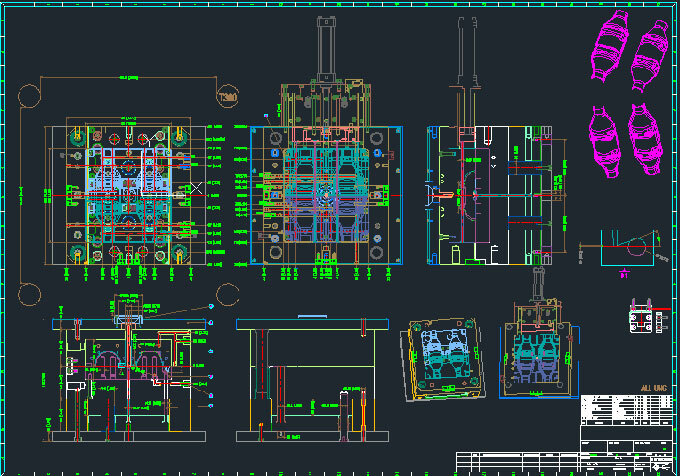 The solutions for inefficient production when injection moulding. (1) The plastic temperature and mould temperature are high, resulting in long cooling time. (2) The melting time is long, the back pressure should be reduced, the recycled material should be used less to prevent the overhead, and the feeding section should be fully cooled. (3) The movement of the machine is slow, and it can be adjusted appropriately from the oil circuit and circuit. 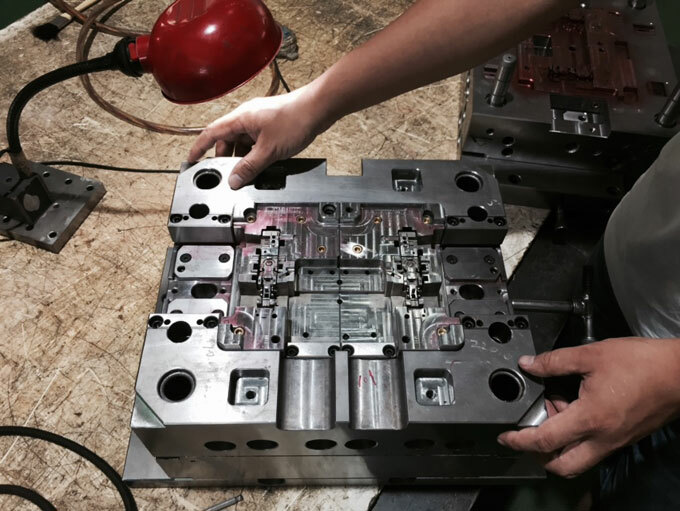 (4) The mould should be designed for demoulding easily, and it is best to designed to be fully automatic. (5) The wall thickness is too large, causing the cooling time to be too long. (6) The nozzle is flowing, affect the normal production. A self-locking nozzle should be used or the nozzle temperature should be lowered. (7) The heating of barrel is insufficient. It should be replaced with a machine with large plasticizing capacity or to enhance the preheating of material.